Hypoxia-inducible factor 1 (HIF-1), a transcription factor, is critical for systemic homeostasis to microenvironmental stimuli, e.g. hypoxia and low energy. Activation of HIF-1 has a positive effect on the glycolysis process, oxygen and energy homeostasis. galactose across the luminal (gut) side of enterocytes, and is the first step in the absorption of sugars from nutrients. Plasminogen activator inhibitor-1 (PAI-1) is significantly induced in insulin resistant, diabetes and metabolic syndrome; Retinol-binding protein 4 (RBP4), expressed and secreted by adipose tissue, is strongly associated with insulin resistance; and Tumor necrosis factor-α (TNFα) in fat cells. As adipose tissue expands during obesity, there is an increase in inflammatory cytokines and a reduction in anti-inflammatory cytokines such as adiponectin, which contributes to local and systemic inflammation and disturbances in glucose homeostasis. InnoSlim® is derived from Panax notoginseng and Astragalus membranaceus using a pharmaceutical grade extraction and processing technology available only at NuLiv Science. InnoSlim® is NuLiv Science’s proprietary metabolic nutraceutical composed of highly purified and fractionated Panax notoginseng and Astragalus membranaceus produced by a proprietary pharmaceutical extraction and processing technology. InnoSlim® has shown in 18 in-vitro, two in-vivo and one human clinical study published in the Journal of Agricultural Food Chemistry, Molecular Pharmacology, and Adaptive Medicine to regulate glucose and fat metabolism in Caco-2, fat and muscle cells by activating the master energy switch Adiponectin and AMPK. These activations lead to decreased glucose absorption in the intestine, increased glucose absorption in muscle and fat cells and decreased fatty acids formation and inflammation in fat cells (1, 2, 3, 5, 8, 10). Excess circulating blood glucose is stored as fat and prolonged excess blood glucose leads to insulin resistance and more fat accumulation. InnoSlim® decreases glucose absorption in the intestine by reducing the glucose transporter SGLT1 and increases glucose absorption muscle and fat cells by increasing glucose transport protein GLUT4. These effects reduce circulating blood glucose and fat accumulation (1, 2, 3, 5, 8, 10). InnoSlim® reduces fat accumulation by inhibiting ACC activation (ACC-P) mediated by Adiponectin-AMPK pathway (5, 8, 10). Adipose tissue contributes to local and systemic inflammation and disturbances in glucose homeostasis. InnoSlim® reduces inflammatory biomarkers PAI-1, RBP4 and TNFα in fat cells that are associated with insulin resistance and metabolic syndrome (5, 11, 12). All the above effects suggest InnoSlim® may initiate a shift in energy homeostasis in favor of fatty acid breakdown to correct the glucose and fatty acid metabolic derailment that leads to weight gain and other metabolic dysfunctions. How Does the Average Person Lose Weight? In today's society, the desire to achieve a healthy weight and image is very important to most. In America today, 41% of women and 39% of men are considered obese. These numbers have slowly been on the rise year after year, but what are the reasons for this issue continuing to rise? One of the main issues contributing to this dilemma is the exposure to unhealthy food options being prevalent in the everyday lives of the average individual. On a daily basis, we are constantly being exposed to unhealthy lifestyle choices through advertisements, commercials, and endorsements for these unhealthy junk foods, sugary alcoholic and nonalcoholic beverages, and high carbohydrate-based foods. Yet, very little advertising dollars are put towards healthy, nutrient dense food options for individuals looking to lose weight. Knowing we cannot control the advertisements that we will be exposed to daily, what are the factors that we can control? We can control how knowledgeable we are when it comes to healthy food options as well as learning how to safely and effectively lose the weight we want to. Knowing how the body works are critical to maintaining a healthy lifestyle and weight for the duration of your life. First, how does one lose/gain weight? For the average individual, it all boils down to the of calories your body is consuming on a daily basis. Everyone has a base rate metabolism, basically meaning, the number of calories that person can eat daily without gaining or losing weight. Everyone's base metabolism rate is different. Gaining or losing weight work on the same principle, the more calories you consume, the more weight you gain, the fewer calories you eat, the more weight you will lose. The average diet of individuals today are carbohydrate-based, but why is that? Carbohydrate-based foods are digested and broken down in the bloodstream into the form of glucose or (sugars). Too much excess glucose in the human body that is not being utilized for energy is then stored as excess sugars or excess calories. These excesses in sugars or calories are the key reason for weight gain. There is an option individuals have to support their weight loss goals that they may or may not be aware of is available: Supplements. Supplementing your current eating patterns with a proven weight management supplement can make the process of losing weight much more manageable and successful. Weight management supplements have multiple benefits for the individuals who take them with a conscious eating program. A few of the main benefits are appetite suppression and increased fat burning happening inside the body. In 18 pre-clinical trials and 1 human clinical trial soon to be published, research has demonstrated that InnoSlim® may support healthy weight loss by reduced excess glucose calorie absorption, appetite suppression, and increased fat burning. The two main benefits of InnoSlim® is the reduced amount of calories the human body absorbs. The calories that the body did absorb is then digested and converted into its glucose form. These glucose calories are then driven into your fat cells or fat tissue, promoting an increase in the amount of adiponectin in the body. Adiponectin is an athletic hormone that is responsible for regulating or controlling the glucose level in your body, as well as increasing fatty acid breakdown. This increase in this athletic hormone, adiponectin, is the main cause for InnoSlim®’s effectiveness. The increase in adiponectin then leads to the jump-starting of the AMPK enzyme. AMPK is the bodies master regulator switch when it comes to weight or fat loss. Think of it has the keys to your car. Without the ‘key’, your car or weight loss, in this case, would not start. AMPK can be found in every one of our trillion cells; it simply needs to be activated so that it can support regulating a healthy metabolism. 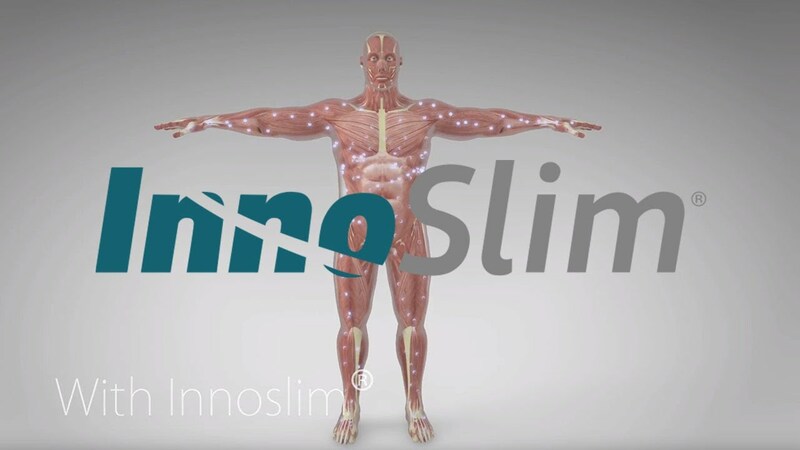 Who can benefit from InnoSlim®? Anyone who is looking to either maintain or lose weight safely and effectively. Where can you find InnoSlim®? InnoSlim® is found exclusively in retail brands who we’ve partnered with. Current brands with InnoSlim® in their supplements include Sparta Nutrition, Swanson Health Products, Torem Athletics, Core Extreme, and many more.